Your Freewrite supports using Fountain syntax (in a plain-text document on your device) to draft screenplays. Documents will be rendered in screenplay formatting when published as a PDF and can also be exported to cloud storages (e.g. 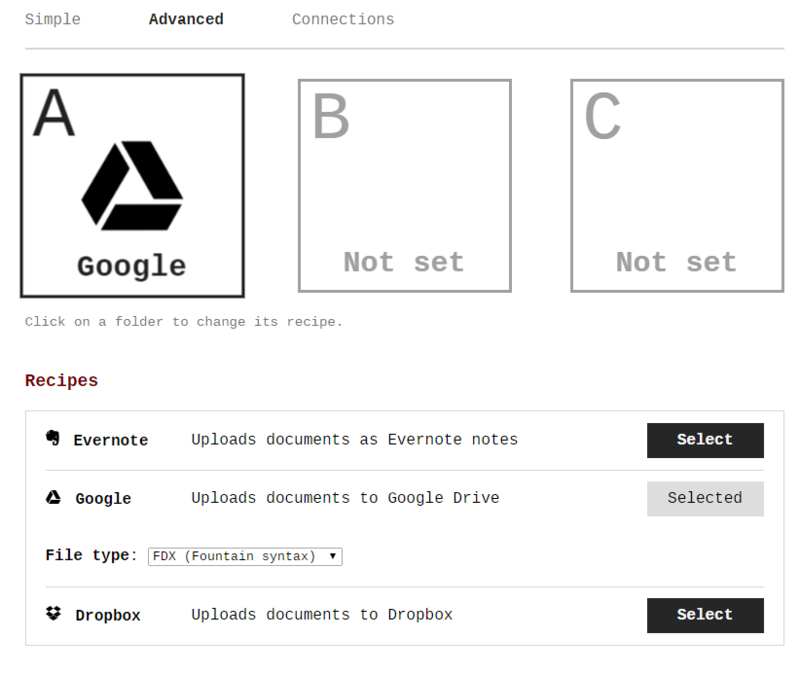 Google Drive) as an FDX Final Draft screenplay file. An overview of Fountain syntax is available here.